What's your car worth? Free Quote. Our goal is to make you smile. When it’s time to sell your used car having a car buyer that is fair and efficient that will work hard to make it go right can make a car sale simple. That’s us! Our prompt, courteous car buyers will schedule an appointment to buy your car mornings, daytime, evenings or on the weekend. If you would like to sell a specialty or classic car our buyers are available all over California. Call now tell us what you’ve got. You don’t need to fix up your car to sell it. If your vintage car was running and driving a while ago and now it’s not we can buy it as-is. Who buys classics? We do! We take pride in our cash for your car service in Los Angeles. 310 Cash for Cars in Los Angeles makes it easy for you to sell an old car. We pay cash for junk cars too! Open 7 days. Call us at (310) 204-2277. We like to think we’re the fastest cash for cars in Los Angeles CA. Free Online Price Quote. Selling a car can be a hassle especially when the need to sell a car in Los Angeles thrust upon us by circumstances. 310 cash for cars understands that, we do our best to make selling a car easy and fast for you. When it’s time to sell a classic car you want a classic car buyer that is easy to deal with and has a broad knowledge of nada classic cars. That’s us, the main reason is we love classic cars. We understand some classic cars come with an attachment or association to a family or family member. Our cash for classic cars buyer care and take care of the little things that make selling a classic car simple and successful for the seller. Our family is in the third generation of buying and loving Sell a classic cars here in L.A. The San Fernando Valley is our home, but we love to buy cars all over Los Angeles, from Newhall to Long Beach. Classic or specialty car? Our buyers travel anywhere. Do you pay cash for junk cars? Yes, junk cars may still be worth money even if crashed, won't start, blown engine or bad transmission. Expert buyers provide hassle free sale then set up tow away. Can I sell my car with a lost title? Three generations proudly serving Los Angeles. Removal of cars from parking garages, police impounds, backyards, barns, in pieces, once from-in-a-swimming pool. 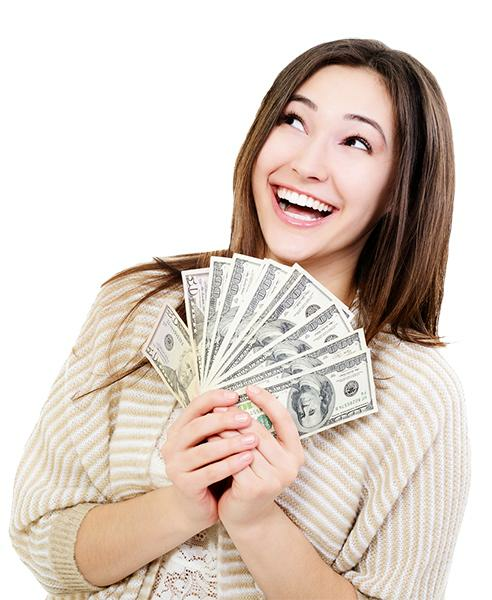 Receive green dollars on the spot, fast! 310cashforcars bought my Corolla, very happy with this service. Was always available to discuss. A pleasure dealing with 310cashforcars. Stress/hassle free sale...good car. Excellent service, fair practices, accommodating, friendly. Andy and team moved car from behind house. Simple!